The Automobile Club de l’Ouest and GreenGT are delighted to announce the creation of H24Racing team, as part of MissionH24. 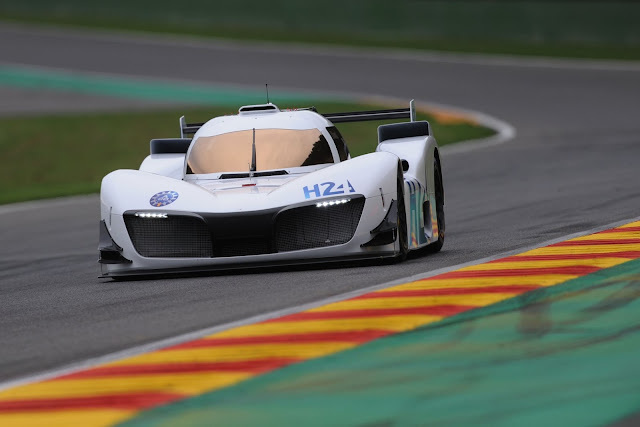 H24Racing is the brainchild of GreenGT and the ACO, the partners behind MissionH24, the project to race a hydrogen-electric prototype which will lead the way to the mobility of the future. "A new team spells excitement, enthusiasm, expectancy and promise. I have to admit a sense of fulfilment in announcing the arrival of H24Racing. With this team, we are making our project real. GreenGT’s accomplishments in research, development and implementation in fuel cell technology are unprecedented. Last September, the ACO and GreenGT launched MissionH24, to promote hydrogen power and zero-emission solutions and draw attention to how fast this energy is progressing. The aura of Le Mans will help raise the profile of the technology. "As president of GreenGT, my role is to define our game plan. We engineer high-power electric-hydrogen powertrains, an alternative to more traditional locomotion technology. With the sudden interest in hydrogen, we saw that our “high-power” approach needed to become “high-density power” given that it was no longer a question of kilowatts per motorised unit, but more a question of optimising the balance between weight, bulk and power. What better way to demonstrate this technology than on a racing track! That’s why GreenGT joined the ACO in this new endeavour, which combines endurance and sustainable performance, technology and emotion. Le Mans 2024 is just five seasons away. Five seasons in which H24Racing will be racing over mid and long distances, putting the LMPH2G and its electric-hydrogen technology through its paces. Fitted with GreenGT’s high-power electric-hydrogen energy module, the car is entering the second stage of development now that the technical configuration has been defined. From now on, we are looking for performance, speed and endurance. 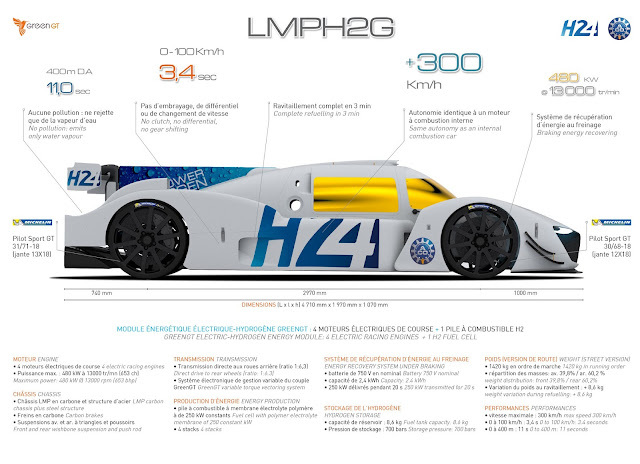 The third stage, which begins later this year, is the competition phase where the LMPH2G takes on its first opponents under the new H24Racing banner. We shall be writing the future of the automotive world.